Summary (from the inside flap): What if you had only one day to live? What would you do? Who would you kiss? And how far would you go to save your own life? Samantha Kingston has it all: the world's most crush-worthy boyfriend, three amazing best friends, and first pick of everything at Thomas Jefferson High--from the best table in the cafeteria to the choicest parking spot. Friday, February 12, should be just another day in her charmed life. Instead, it turns out to be her last. Then she gets a second chance. Seven chances, in fact. Reliving her last day during one miraculous week, she will untangle the mystery surrounding her death--and discover the true value of everything she is in danger of losing. 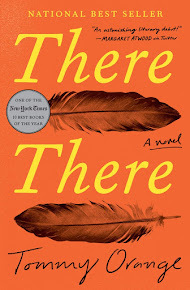 Review: I am probably one of the last people in the book blogosphere to read this book, but I am glad that I finally did. It isn't really a new concept: relive your last day until you get it right, but this book holds its own and doesn't feel like just a rehash of an idea that has already been done (and, really, are there any new ideas out there?). Samantha and her friends are popular and not very nice. I cringed each time they were horrible and rude to other students. What's nice is that Samantha, in reliving her day 7 times, doesn't just act nicer to avoid her own death. She really thinks about her actions, who she wants to spend time with, how she can make small and subtle differences in her actions (both physical and verbal) to change the outcome of her day. She also realizes that it isn't all about her, which is really refreshing! I liked the supporting characters even though I didn't like all of them. Does that make sense? I mean they were well done and believable; they will be people you recognize from your time in high school. They also made me think about things I've said and done in the past that I wish I could change. But we can't. Even apologizing doesn't make them go away. I think it's great when a book makes the reader think about him/herself and not just the characters in the book. I also like the ending. It takes care of a lot of Samantha's "issues" without solving everything and making everyone okay and happy. That wouldn't be realistic. She figures out a lot about herself and those around her but cannot control how they will behave if she does indeed die. 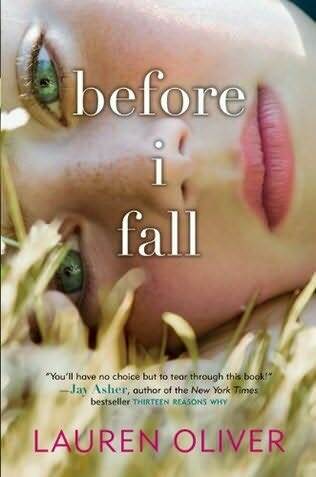 What did you think of before i fall? I just read this one this week! My review won't post for a couple weeks (still very far behind) but I'll make sure and link to yours. I can't wait to read this. it's one of the books I am looking forward to! This is on the top of my TBR list...can't wait to read it! Aths and Danielle--Enjoy this when you get to it! This sounds really interesting, I will have to go in search of it and add it to my ever growing pile of books. Not a blogger--I had put off reading this one for quite a while, but I am glad I read it. The TBR pile can get so overwhelming! Sheila--great point. I often read the summary of a YA book and think: again? Same old theme/plot. Then I read it and think: Oh. A new twist, or that was well done. And it gets me thinking about stuff!